The Metri Insertion Paddlewheel Meter (IPM) Series is the perfect cost effective liquid flow meter for use in pipe sizes from 40mm to 300mm. 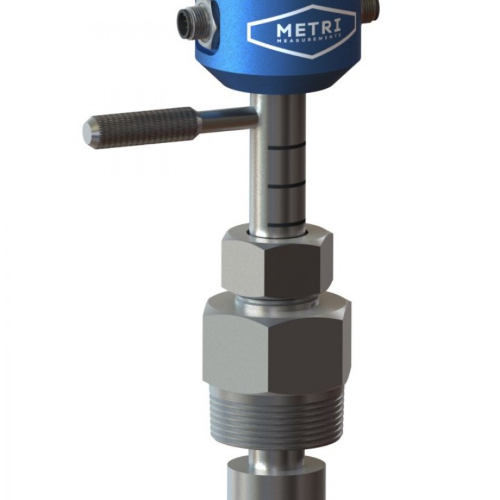 Designed to be simple to install and operate, this rugged radial turbine meter will provide accurate velocity measurement of various liquids. When fitted it provides minimal pressure drop and is ideal for use in building services, process plant machinery and remote access areas. Where required the IPM is fitted with battery or powered F Series or E Series Fluidwell displays to provide flow rate, totaliser, batch and ratio control functionality. This insertion paddlewheel flow meter has a rugged stainless steel rotor supported on a highly polished tungsten carbide shaft with dual sapphire ringtone bearings for reduced friction and an extended service life. Each meter contains a self-powered VR sensor for remote and battery operation safe for ATEX | IECEx certified equipment is available for hazardous area applications.